Wirtschaftsingenieur (Dipl.-Ing., Dr.techn.) mit Jus-Ausbildung (Dr.jur. ); Studien in Graz, an der Stanford University und am Massachusetts Institute of Technology (MIT). Während der Studien Ski-, Tennislehrer, Basketball A-Liga; dann Statiker und Universitäts-assistent für Management und Organisation an der Technischen Universität Graz; anschließend europäischer Programm-Manager im Europa-Headquarter von Hewlett Packard bei Stuttgart. Ab 1987 Mitglied der Geschäftsleitung von Roland Berger Strategy Consultants in München; ab 1992 Aufbau des Österreich- und Osteuropa-Geschäfts und Entwicklung zur drittgrößten Region von Roland Berger; viele führende Funktionen in der Gesamtgruppe, u.a. Mitglied des Marketing Committees und des (geheim gewählten und daher besonders vertrauenswürdigen) Committees zur Evaluierung der Partnerkollegen. 2007 Ausstieg von Roland Berger zum Aufbau einer Beteiligungsgruppe im Pharma-, Engineering- und Internet-Bereich; dafür mehrere Auszeichnungen. Senior Adviser u.a. für Klaus Schwab/World Economic Forum und bei der UBS Investment Bank. Aufsichts-/Verwaltungsrat in mehreren Unternehmen; Lehrbeauftragter für "Szenarien der Globalisierung" und "Impact of China on the world economy" an der Wirtschaftsuniversität Wien sowie für "Corporate Governance" an der Ludwig Maximilian Universität München. Born in 1953 in Salzburg, Dr. Reichl worked for 20 years with Roland Berger, the leading European Strategy Consultancy, heading the Austrian and Eastern European business for more than 15 years. Until 1984, he studied Civil Engineering and Law (studies mainly in Graz, but also at Stanford and at the Massachusetts Institute of Technology), was Assistant Professor for Management and Organization, and university lecturer for Software Programming, Computer Aided Design and Artificial Intelligence. From 1984 to 1987 he worked for Hewlett Packard as a European Marketing Program Manager, located in Böblingen, close to Stuttgart. From 1987 onward, he was Member of the Managing Board of Roland Berger Strategy Consultants. From 1992 until 2007, he has built Roland Berger's business in Austria/CEE to become the third biggest practice of the group. He held many functions on group level, including member of the Marketing Committee and of the - secretly elected and therefore specially trustworthy - Committee for the performance evaluation of partner colleagues. 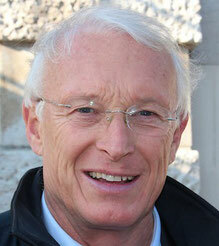 In 2007, he left Roland Berger to build a group of company participations. Since then, he has been, among other functions, Senior Adviser to renowned institutions ans personalities (e.g. to Klaus Schwab, founder of the World Economic Forum; UBS Investment Bank), investor in small technology companies, Non-Executive Board Member at various companies, and lecturer for "Globalization" and "China" at the Vienna University of Economics and Business Administration, as well as for "Corporate Governance" at the Ludwig Maximilian University in Munich.